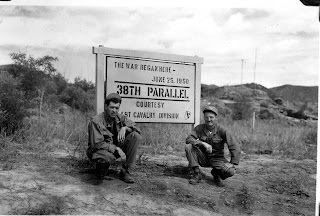 When North Korean forces invaded their neighbor South Korea on June 25, 1950, tensions had already been simmering for decades. Korea was annexed by Japan in 1910 following years of rivalry between China and Russia, both countries competing for control of the nation. 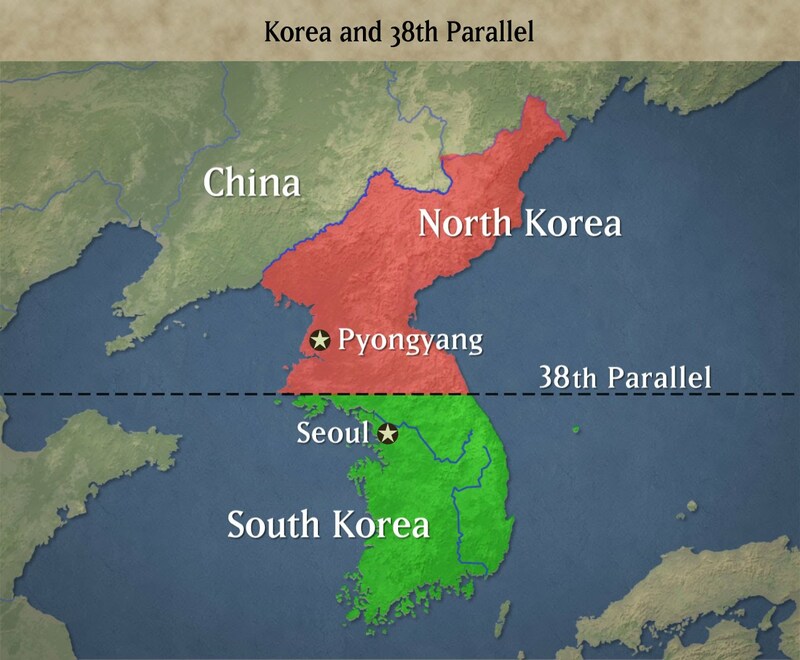 Former Secretary of State Dean Acheson in his book The Korean War notes that the Allied Powers during World War II had agreed to allow Korea to be free and independent with the United States overseeing operations in the South and Russia doing the same in the North, areas roughly demarcated by what became famous as "the 38th parallel". By 1948, after years of deliberation by members of the United Nations, the Republic of Korea came into existence with its government controlling the southern territory. The People's Republic of Korea came into being with the support of the Russians later that same year, controlling the northern area. That North Korean troops- supported by Russia and China- subsequently invaded the South came as little surprise to experienced politicians in the U.S. President Harry Truman would not tolerate this and ordered American military forces there two days after the aggression. In 1950, many Americans knew little about Korea. Some couldn't locate it on a map. Over the next two years, they would learn not only how brutal the conflict had become, but also that the U.S. had entered a war that appeared at the time to be un-winnable. The first Winter of the war in 1950- 1951 took its toll on the American forces. 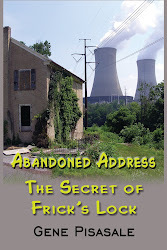 In This Kind of War, author T.R. Fehrenbach stated "The cold would destroy as many men as enemy bullets." 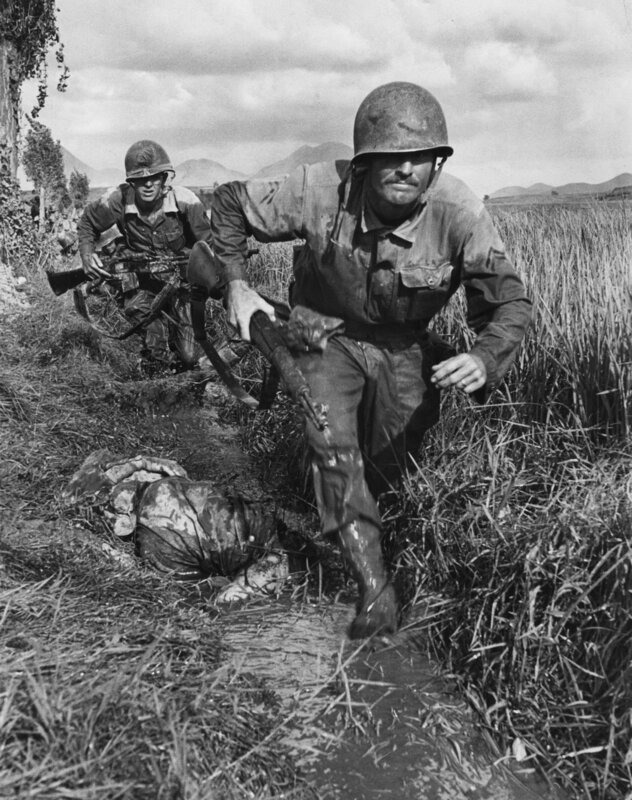 U.S. Marines took 22 1/2 hours to march just 9 1/2 miles near the area known as the Chosin Reservoir. Names like Inchon, Panmunjom and Heartbreak Ridge entered the news reports, as did word of mass killings of South Korean civilians by the Communists at Taejon. Although Americans had experienced reports of military setbacks and war atrocities less than a decade before during World War II, these new announcements, along with mixed results and setbacks for U.S. troops left many with the sense that this war was different. A world away from home- fought in a country with no direct ties to the U.S.- it was hard for many to rationalize the sacrifice of American lives. The Korean War influenced the political future of two of its main protagonists- General Douglas MacArthur- who'd been sharply critical of Truman's lack of aggressiveness- was relieved of command. He later gave a speech before the United States Congress in which he spoke the now famous phrase: "Old soldiers never die, they just fade away..." President Truman was widely criticized for replacing MacArthur and for lack of success in the war effort; partly due to this, he decided not to run for reelection in 1952. His "police action" was really an undeclared war- something many Americans were uncomfortable with. Citizens were also skeptical about the "domino theory"- the thinking that if one country falls to the Communists, others will follow. It was hard for people to rationalize how countries thousands of miles away and their government- far different from ours- could impact their own way of life and freedom. Added to this was the impression that- for the first time- the U.S. was faced with truly losing a war, a notion that didn't sit well with many who were war weary from the previous decade. The Korean War ended on July 27, 1953, roughly three years after it had begun when an armistice was signed. Technically this was merely a truce- not a genuine peace agreement ending all hostilities. President Dwight Eisenhower had accomplished what Truman could not- making good on his promise to end American involvement. Eisenhower had also very wisely avoided the use of nuclear weapons, which some advisers had recommended. 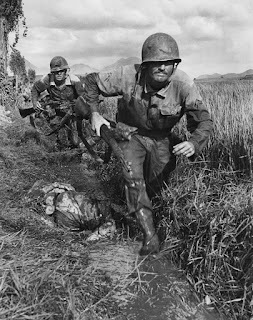 Total American deaths in the war were initially reported at over 50,000, but a later analysis revised that number to around 36,000- enough to cause millions of Americans to scratch their heads and ask "Why did we get involved?" 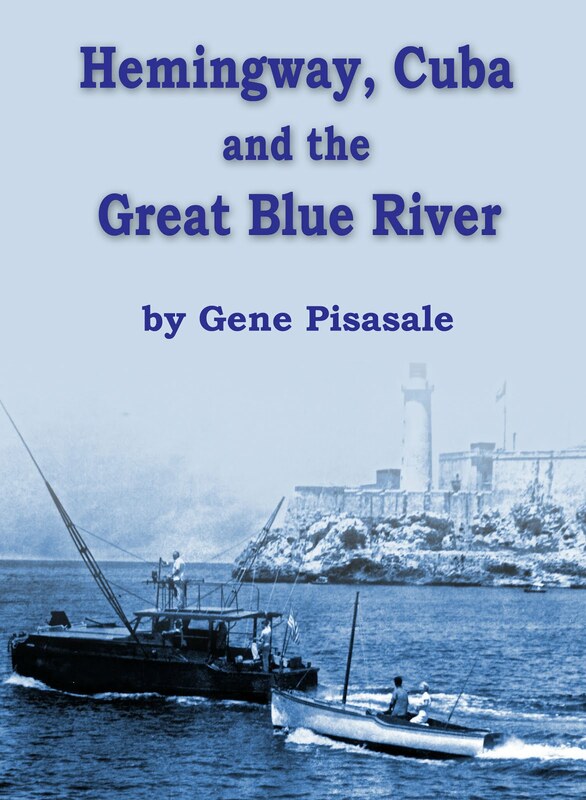 Many just wanted to put this unpleasant episode out of their minds- and over the years, it was considered by some historians as "the forgotten war." Over the more than six decades since the armistice, the North Korean Communist regimes led by a family of rulers beginning with Kim Il Sung have waged an ongoing war of propaganda and military threats directed at South Korea, the U.S. and its allies. American troops have been in South Korea since the armistice, positioned along the Demilitarized Zone (DMZ), a region which has witnessed numerous clashes and killings over the years. In the last twenty years, North Korea has aggressively pursued a nuclear weapons program, despite warnings from the U.S. and other nations that such moves were unacceptable. Various U.S. Presidents have tried- with very little success- to entice North Korea to abandon its nuclear program and become a productive, peace-loving member of the world community. Nonetheless, North Korea has, up until recently, largely disregarded the threat of sanctions and outside military force as it pursued its nuclear strategy. After seeing many years of failed efforts to halt North Korea's nuclear program, President Donald Trump used more aggressive tactics. He not only ramped up severe sanctions against the country, backed in part by China- he also threatened "fire and fury" if North Korea were to attack the U.S. or any of out allies. The announcement in late April 2018 that North and South Korea had agreed to end hostilities caused political observers around the world to take note. Was this really a definitive change toward peace and de-nuclearization by North Korea, or just another bluff in its long-standing efforts to thwart the western powers? Would their aggressive moves- including numerous missile launches toward Japan and other countries- truly end? It is difficult to fully analyze at this point in time, but President Trump deserves at least some credit for ushering in this new atmosphere of peace. Skeptics might argue that North Korea is playing its hand wisely, as their nation and its millions of people are on the brink of starvation, possibly in severe financial trouble- so their move toward reconciliation is merely a method of gaining western assistance to avoid collapse. Time will tell. With President Trump scheduled to meet with North Korean leader Kim Jong Un in the coming weeks, an unprecedented move for a U.S. President- perhaps we will see the skies clearing, sunshine bathing the region in warmth... and a much overdue peace. 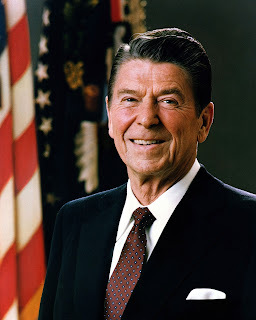 President Reagan once said that you can go to Germany and not become a German. You can go to France and never become a Frenchman. Yet nearly a million immigrants are admitted into the United States every year- all of them wanting to become Americans. Why are they coming here- and what does this experiment in democracy really mean to them, to all of us citizens, to people around the world? They're coming here- to America- because our nation and system of government are the most successful in the history of mankind. Aside from the nearly one million persons admitted legally into the U.S. each year, many times that number attempt to enter illegally, most of the latter group risking their lives doing so. Some pay thousands of dollars to so-called "coyotes" to transport them across the border, often in unsanitary, horribly overcrowded trucks where their very survival is uncertain. Yet they come, year after year... the tide unending. What exactly are they coming for? They all come to be part of the greatest republic in the world, where they hope to pursue their dreams without an oppressive government or rogue elements usurping their rights or threatening their well being. They come to have a chance at living a better life, feeding their families, creating a better environment for their children. Despite the risks of injury or even death, the flow never stops... because they all know that America is unique in human history. Never before had citizens- with very limited resources- overthrown an overbearing mother nation and established their own republic guided by a Constitution which protected individual rights while outlining- and limiting- the powers of government. The Founding Fathers crafted the Constitution and subsequently the Bill of Rights to guarantee that citizens would be able to live their lives in freedom, without the constant threat of having their liberties taken away. In 1831, Alexis de Tocqueville came to America at the request of the French government to study the American prison system. After traveling around the country for nine months, he decided to focus more on the American political system and way of life. 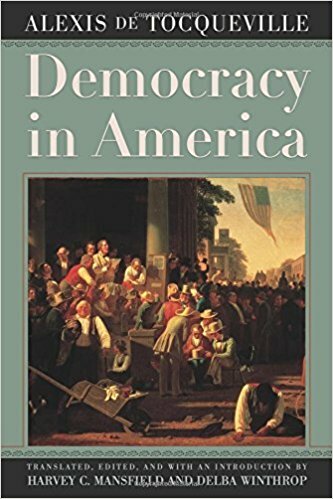 He came away profoundly impressed with what he experienced, which he considered the blossoming of democracy few countries had ever seen. 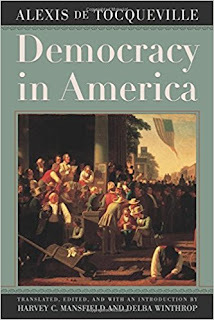 In his book "Democracy in America", de Tocqueville said "America is great because it is good." 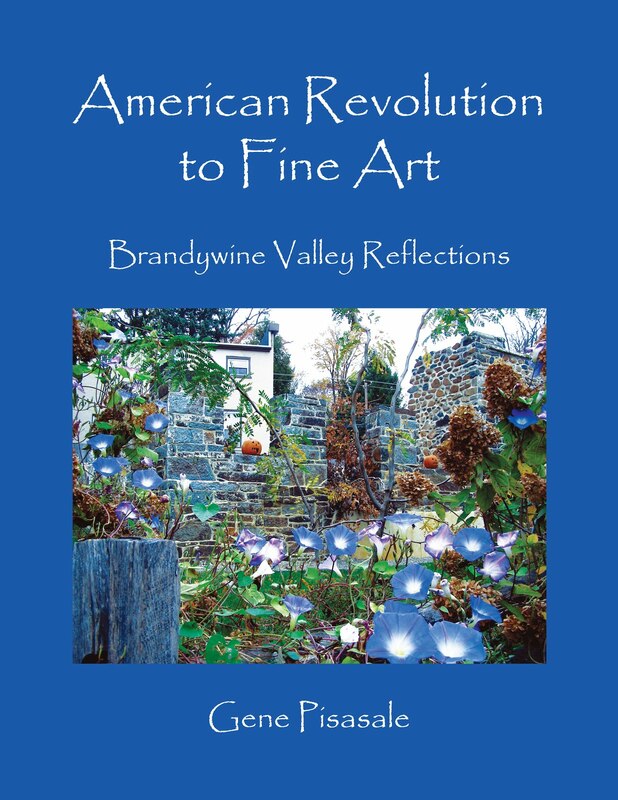 He recognized that America was quite unique, a very special place unlike almost any other nation. Three decades later, President Abraham Lincoln shared the same insights in his letter to Congress. 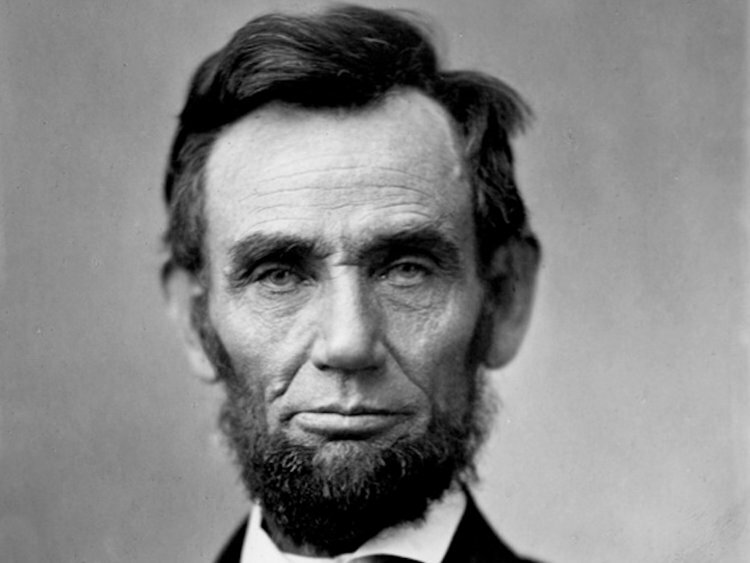 In 1862, amidst the turmoil of the Civil War, Lincoln realized that it was absolutely critical to preserve this ongoing experiment in democracy, saying "We shall nobly save or meanly lose this last best hope of earth." Remembering the "War to End All Wars"
When Barbara Tuchman's book "The Guns of August" was released nearly six decades ago, it turned the world's attention on a major conflict that subsequently became dwarfed by the enormous impact of World War II. Yet the subject of her Pulitzer Prize winning book- World War I- was almost as gargantuan in scope militarily, geographically and socially, with 70 million military personnel engaged and more than 16 million persons killed in places ranging from Europe to Africa, the Middle East and China. Also called "the Great War", World War I had a profound impact upon the world order, with the Austro-Hungarian, Ottoman and German empires being radically rearranged or going out of existence, national borders redrawn and nine countries created or restored. World War I started with a spark- Archduke Franz Ferdinand was assassinated in Sarajevo on June 28, 1914, setting off a diplomatic crisis in the Balkans, the region southeast of Europe which had witnessed turmoil for centuries. 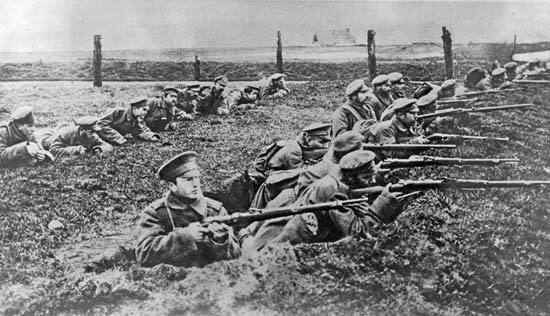 Terms like "trench warfare" and "the western front" came into use as politicians tried to describe the scope of this conflict. As nations around Europe began taking sides, it became clear that a major war was imminent. A month after the assassination, Austro-Hungary declared war on Serbia. Germany subsequently declared war on Russia. Russia urged members of what was called the Triple Entente (which included France and Great Britain, as well as Russia) to take a military position and prepare for engagement. 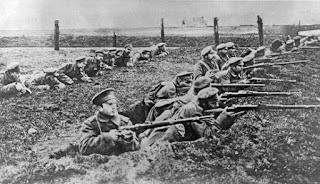 The Allies (including Russia, France and Great Britain) faced off against the Central Powers, led by Austro-Hungary and Germany. An interesting footnote of this conflict is the fact that both Japan and Italy joined the Allies (as did the United States, a bit later in the war). Italy and Japan would align themselves with Germany 25 years later in World War II. The United States was a tardy latecomer to this war, as millions of Americans saw it as "a European affair" in which they did NOT want to be involved. President Woodrow Wilson had a platform running for reelection in 1916 using the slogan "He'll keep us out of war." However, when the British ship Lusitania was sunk by a German U-boat, killing over 100 Americans, tensions in the U.S. rose to a boiling point. 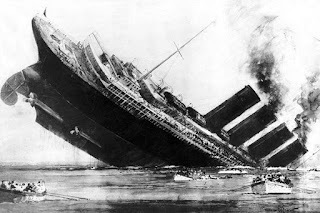 Later sinkings of several American merchant ships- and the interception of the "Zimmerman telegram" from Germany linking help from Mexico in the war with later assistance to gain back territory held by the United States- caused President Wilson to declare war on Germany on April 6, 1917. Some of the largest and most devastating battles in world history occurred in World War I, including the Battle of the Marne and the Battle of the Somme, the latter producing a nearly unthinkable one million casualties (killed and wounded). 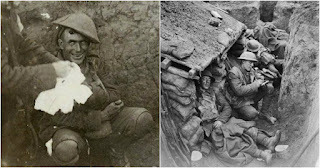 Chemical warfare reared its ugly head for the first time, mustard gas and other agents causing soldiers to gasp for breath as they dug into their trenches for protection. 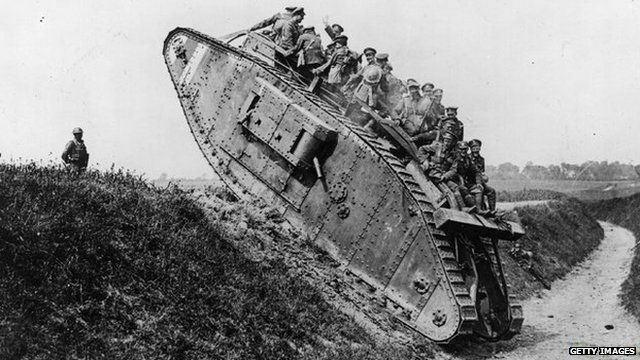 The war also produced dramatic advances in weaponry as tanks were used for the first time, bringing a new element onto the battlefield. By 1918, the casualties on all sides were staggering. Germany was finally defeated and ready to come to the negotiating table. 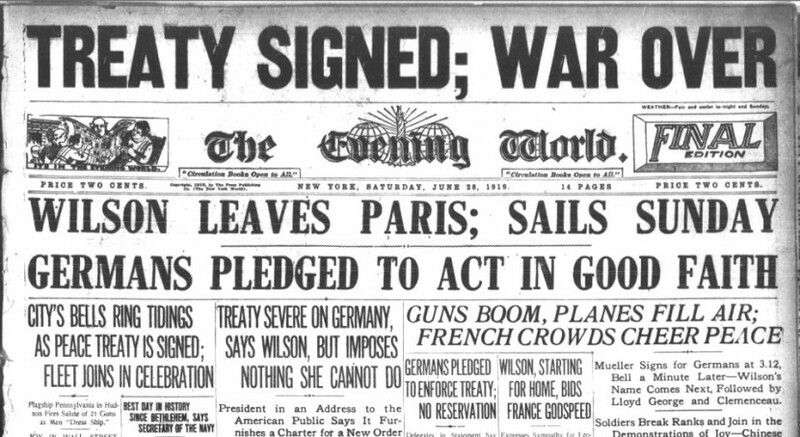 The Treaty of Versailles signed on November 11, 1918 attempted to treat all parties fairly, but it had many critics. British economist John Maynard Keynes felt the treaty was unduly harsh towards German and he predicted it would sew the seeds of another war. Keynes was right. Political leaders in Germany felt they had been singled out and treated unfairly. The German economy deteriorated sharply; the deutschmark experienced hyperinflation to the point where citizens were unsure of their nation's future and the economy sank into a downward spiral. These conditions led a disgruntled artist named Adolf Hitler to help form a new political party which would take control in the 1930s. All those who fought in this great conflict have long since passed from the scene. They're no longer around to teach us its lessons. So, what have we learned from World War I? At a minimum, we should now realize that massive global conflicts cause irreparable damage to families, to communities, to entire nations. In the 21st century, most civilized countries now recognize that chemical weapons are unacceptable tools of warfare. It is unfortunate that some leaders like Syria's Bashar Assad do not subscribe to this line of thinking. Perhaps the war has taught most nations that such weapons must finally be eradicated from the face of the Earth, but that assumption may be too optimistic. 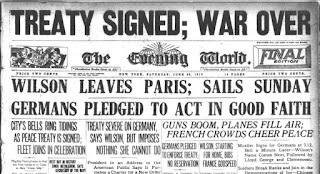 It is hoped that today- a century after this war ended- all political leaders around the globe will think twice before engaging in conflicts which could negatively impact the entire world. Why do Americans continue to be fascinated with the Civil War? 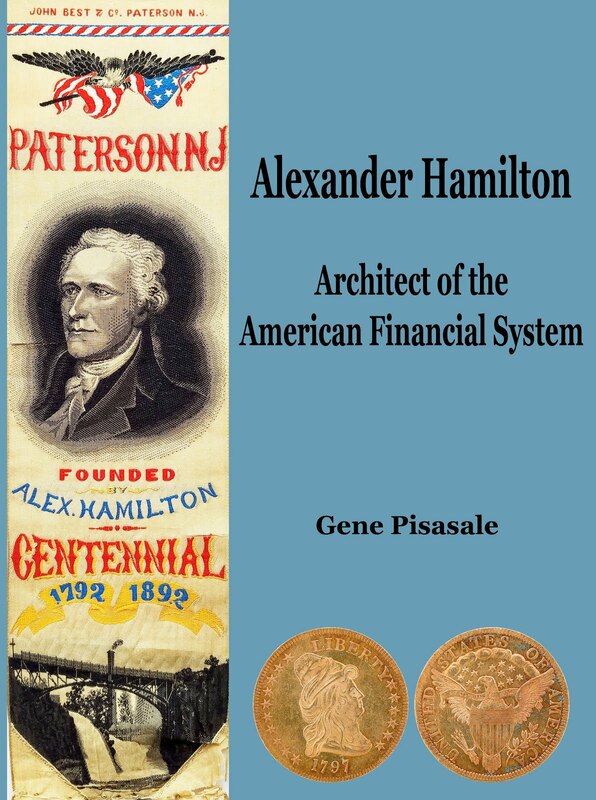 The Civil War ended more than 150 years ago, but millions of Americans continue to buy books, see movies and attend lectures concerning this period in our history. 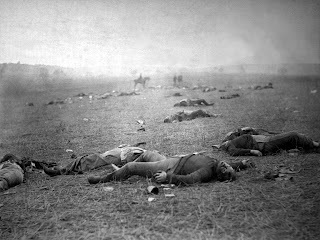 Thousands of narratives have been written on this conflict, with hundreds on the Battle of Gettysburg alone- and there appears to be no end in sight to this continuing avalanche of material. Why? Perhaps it is because the Civil War truly IS one of the most interesting and thought-provoking times in our heritage,when brother fought against brother, the nation was being ripped apart and this experiment in democracy almost came to an end- but managed to survive despite long odds. The Civil War began on April 12, 1861 when Confederate soldiers fired upon Federal Fort Sumter in Charleston harbor. The real "break" came months before, when several southern states seceded after the election of Abraham Lincoln in November 1860. South Carolina was the first, followed by others as they attempted to form a new nation devoted to allowing slavery to survive. The abomination of slavery had been around for thousands of years- since Biblical times- but by the 19th century, many nations around the world began reconsidering their support for the atrocious practice. As the economy of the southern states was largely dependent on agriculture- and slaves supplied very inexpensive labor to support those activities- slave-owning plantation owners considered anyone promoting an end to slavery a direct threat to their sovereignty and way of life. Numerous events including those in "bleeding Kansas" pitted slave owners against abolitionists, the result being ever rising tensions as the nation seemed to be veering toward anarchy. Politicians in southern states openly stated their desire to form a separate country where they and their constituents would be free to own slaves- mere chattel, in their view- to pursue the lifestyle they desired. Thousands of abolitionists throughout the country- mainly in the North- felt slavery was a horrific stain on human dignity and had to be ended. 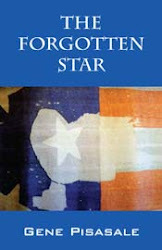 When the Confederate States of America was formed, it was a "nation" unlikely to survive. Roughly 90% of the manufacturing capacity of the country was in northern states, as was the bulk of our railroads and telegraph lines. No politicians in the newly formed Confederacy had ever run a Treasury before and few of them had any legal experience writing a Constitution. 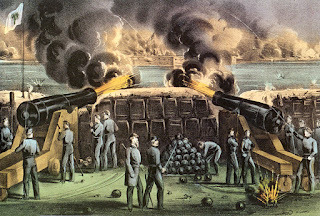 The shots fired in April 1861 may have seemed like the sounds of freedom to those rebels in Charleston, but little did they know how much misery and mayhem they would portend. 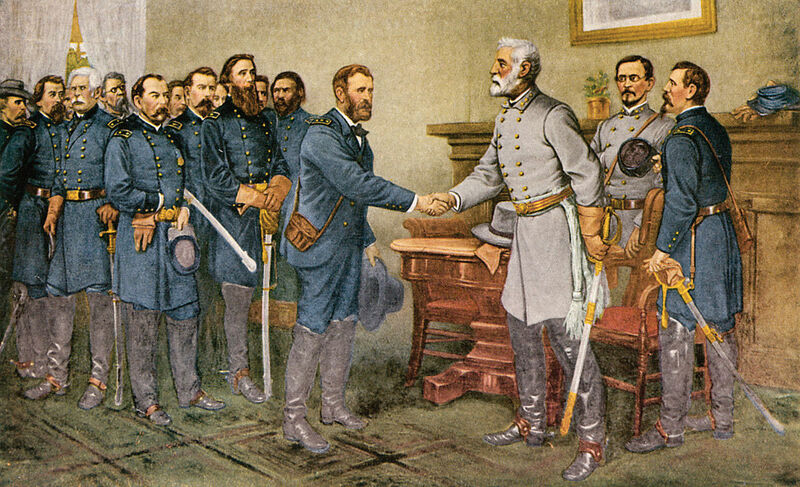 The Confederacy did manage to get one of the very best Generals ever to serve in the U.S. Army- Robert E. Lee, who agonized over the decision to fight against his own country. Yet the Confederacy was really doomed from the start with limited money, natural resources and industrial capacity to fight such a conflict. It is astonishing that the Confederacy managed to survive for four years before that slave-owning experiment came to an end. By the time Lee decided to surrender- April 9, 1865- the Confederacy was in a shambles, the southern economy ruined, hundreds of millions of dollars of land and equipment damaged or destroyed through the course of the war. Roughly 600,000 persons or 2% of the population was killed during the Civil War; today's equivalent would be more than 6 million people- an unthinkable number. Southern politicians supporting secession likely had little idea that their efforts would not form a new country- but nearly destroy their own way of life. By 1895- 30 years after the war ended- the economic output of just one northern state- New York- equaled the entire economic output of ALL the southern states combined. After the war, northern states thrived as railroads and new technology helped business to boom, new markets to develop and commerce to thrive. By contrast, southern states were merely trying to heal the wounds opened decades before. 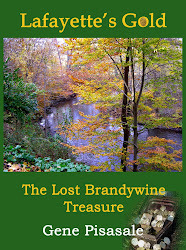 As we look back on this episode in our history, it is helpful to note that it was not all bad. The 13th, 14th and 15th Amendments to the U.S. Constitution were ratified due to what happened during the Civil War. In the decades following these Amendments, laws allowing blacks to freely live their lives, own businesses and become productive citizens were adopted around the country. Some of the first black representatives in Congress came from southern states, eager to participate in this experiment we call America. So instead of thinking of this period as a disaster, perhaps we should consider a rebirth of freedom, a necessary conflict that produced many great accomplishments which we enjoy today. Most people when asked are eager to state their favorite President, but few of them know the details which make- or don't make- a particular President well respected among his peers. The "Presidential Club" is an elite group with a limited number of members- only 45 so far- and getting into this club takes an enormous amount of skill- or sometimes luck. Some men have taken the office upon the death of a sitting President, others have striven for many years and finally attained the lofty position. This essay will not attempt to analyze each one of these men, as such an analysis would be far too comprehensive for this narrative. Instead, I will simply list those who I- as a professional historian- feel merit the "Top Ten" ranking. 1. George Washington regularly is ranked at the top of the list of American Presidents or easily within the top three by most historians. Why? There are numerous reasons, but among the most important is the fact that he functioned well in a very difficult environment- a young, struggling nation- with no precedents, limited resources and many opportunities to fail. Instead, his calm demeanor and intelligence managed to get the country on a firm footing and allow him to "pass the baton" to the next man who took office without controversy or anarchy in the streets. 2. Abraham Lincoln also receives high marks from most historians and in some polls out- ranks Washington. Lincoln also took office at a very challenging time- the nation was literally fracturing- and he served the country well, winning the Civil War and ending the abomination of slavery with his Emancipation Proclamation. Lincoln held great promise for a second term, but was assassinated before he had a chance to further his successes. 3. 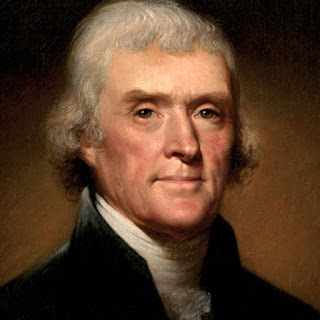 Thomas Jefferson is often regarded more for his penning of the Declaration of Independence than his time in the Oval Office, but his tenure did produce enormous benefits for America. The Louisiana Purchase doubled the size of the country and brought a vast amount of land and resources to the growing nation. Although his embargo nearly crippled the country, Jefferson's crowning achievement with this purchase remains one of the most important acts by a Chief Executive. 4. 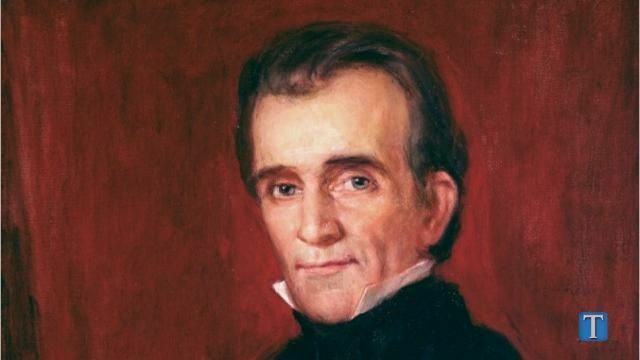 James Polk is not a well known name outside of scholarly circles, but he had a huge influence on the course that America took. His success winning the Mexican-American War from 1846- 1848 allowed the negotiation of the Treaty of Guadalupe Hidalgo that brought another enormous land purchase into our realm, again doubling the size of the nation by adding territory in what is now the states of Arizona, New Mexico, Texas, Nevada, California, Colorado and Wyoming, with vast reserves of gold, silver, lead, zinc, copper and other metals that helped fuel the latter stages of the Industrial Revolution. This purchase helped America rise to the top tier of world powers in the following decades. Polk is also well regarded for something that few Presidents do- keeping his promise to run for only one term. 5. 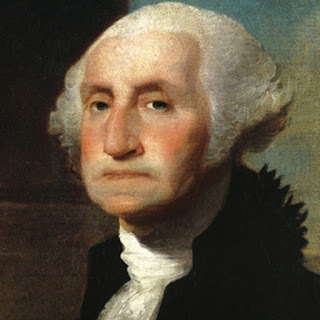 James Madison is often thought of as the "Father of the Constitution" and this moniker would normally be enough to rank him among America's greatest statesmen, but his time in the Presidency did bring another major accomplishment- winning the "Second War of Independence" from England. The War of 1812 was not popular- some northeastern states even threatened to secede- but it did prove that America was a power to be reckoned with. Even though the war ended in roughly a stalemate, it proved that our nation was strong, could defend itself and rank among the "power players" in the western hemisphere. 6. Franklin Delano Roosevelt is often ranked by historians in the top five- sometimes the top three Presidents, but here I give him sixth place for a few reasons. He did take office at a horrendous time- the midst of the Great Depression- and he managed to keep the country functioning through a variety of programs, some well liked, others harshly criticized. Roosevelt did manage to get us through the Depression- even though it took a ramp-up for World War II to do it. He also gave people hope when so many millions were without it. He built up the military when it was sorely needed and managed to appoint a great General- Eisenhower- to help win the war, which he did. 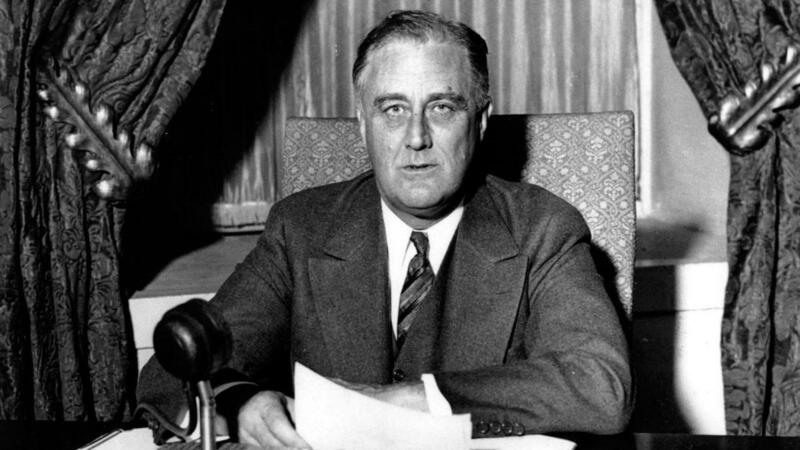 Despite the fact that unemployment was still at 14% in 1940- seven years after he took office- Roosevelt helped move the nation through two of its greatest crises successfully. 7. 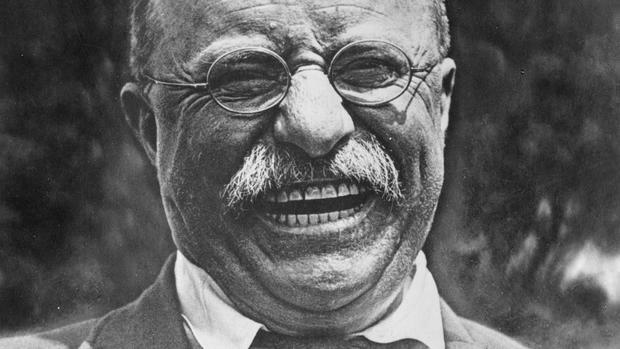 Theodore Roosevelt was a relative of FDR and is often ranked among the top ten U.S. Presidents for good reasons. He helped bring the nation into the twentieth century and was not shy about telling people who we were and what we stood for. "Walk softly and carry a big stick" was one of his favorite phrases and he was proud to use America's growing power and prestige to accomplish great things- the construction and opening of the Panama Canal being just one of them. 8. Harry Truman left office thinking he might be forgotten, but his accomplishments have been lauded as some of the best of any American President. He successfully took the reigns when FDR died and steered the nation to victory over Japan, ending World War II. His use of the atomic bomb still draws harsh criticism from some scholars, but it was warranted and the right thing to do in saving perhaps hundreds of thousands of lives. Truman also broke down the "color barrier" in the military and was, like Teddy Roosevelt, not shy about his feelings. Truman's "star" got a huge boost when the book "Truman" by David McCullough was released and he has remained in the top tier ever since. 9. 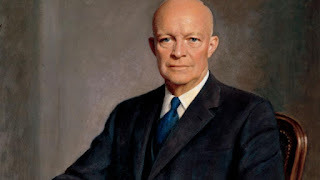 Dwight Eisenhower was ranked in the bottom third of American Presidents when he left office in January 1961, but has since risen dramatically in ranking, now regularly rated in the top ten. Why? Eisenhower presided over an economy that was healthy and strong, with few periods of weakness, he established the Interstate Highway System which helped revolutionize transportation around America- and he shepherded in two states- Alaska and Hawaii. Eisenhower also successfully ended the Korean War, following Truman's questionable handling of that conflict. 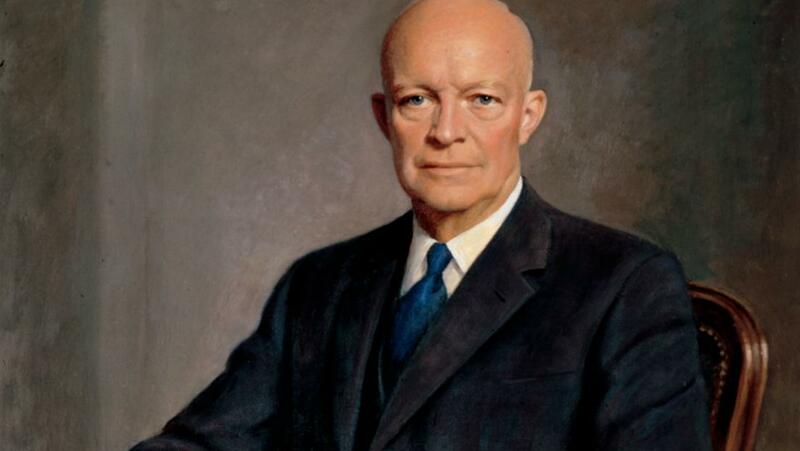 "Ike" is now a favorite among historians and for good reason- he deserves a top ranking. 10. 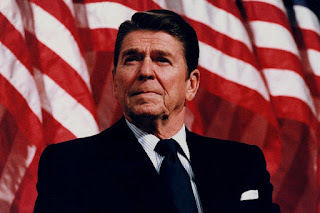 Ronald Reagan was often derided in the media as a weak intellect, a "B-movie" actor with few talents and limited understanding of how to run a government. Yet he showed his critics they were all wrong. Not only had he successfully run our largest state (by population) California- he took office knowing exactly what he stood for and wanted to do. He also surprised his critics by NOT starting a war (he actually signed the first comprehensive nuclear weapons treaty with the Soviet Union) and managed to serve at a time of general economic prosperity and progress for the country (despite a nasty recession in 1983). Reagan was regularly underestimated- and he was proud of showing his critics what he could accomplish. His famous words "Mr.Gorbachev, tear down this wall!" are now part of Cold War history and proof that he could win this- the longest of any American "war" -without firing a shot. People today often rank John F. Kennedy among the very best Presidents, but his accomplishments were mixed (he presided over the disastrous Bay of Pigs invasion and also allowed the Berlin Wall to go up without a struggle; he did successfully "stare down" Cuba and the Soviet Union during the Cuban missile crisis). The facts about "Camelot" are now regularly debated, as are his many extramarital "flings" while President. It is this historian's view that Kennedy gets an "Incomplete" grade as President, simply because we'll never know what he could have accomplished had he lived. Other Presidents, including Lyndon Johnson are often given high marks, but have numerous shortcomings in my view which will prevent them from being ranked among the greatest in that office. It is hoped that this brief review at least opens the eyes of some Americans and gets them to think about our nation- and the men who have helped make it great.